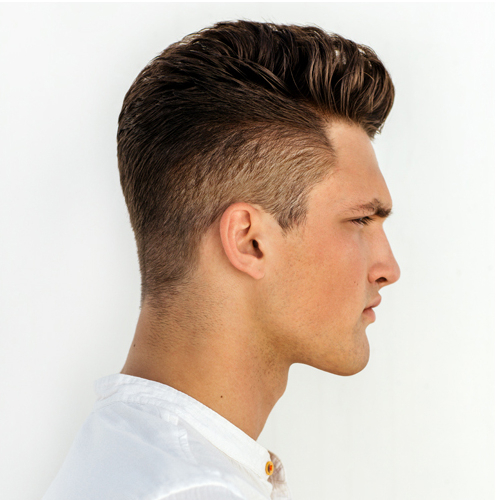 Amplify hair structure and protect hair against breakage with the innovative Nioxin 3-part System for Natural Hair with Light Thinning. This unique set of three professional hair products, based on an advanced skin care approach, is specially formulated as a hair thickening treatment, delivering denser-looking hair. 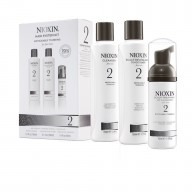 The volumizing Nioxin 3-part System 1 treatment reduces hair loss due to breakage and strengthens the hair, while refreshing the scalp and delivering a healthy shine to natural hair with light thinning. 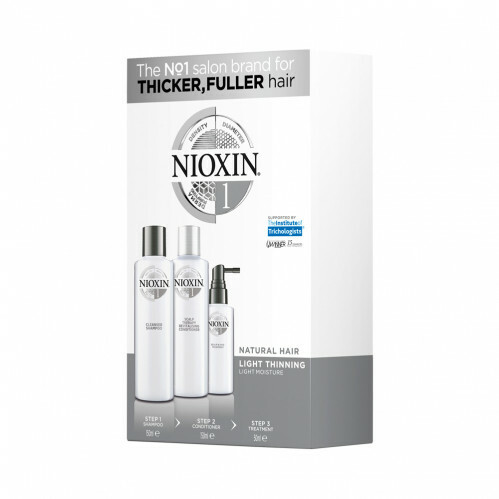 Nioxin Cleanser Shampoo 1 150ml: removes sebum and environmental residues from the scalp and hair. Nioxin Scalp Therapy Revitalizing Conditioner 1 150ml: a lightweight conditioner that helps provide hair resilience and control moisture balance. 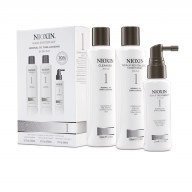 Nioxin Scalp & Hair Treatment 1 50ml: refreshes the scalp and increases hair volume. Scalp Treatment: Shake well. Apply evenly to entire scalp. Do not rinse.